What are your “and” words and why? Curious and confident. Curious - I love talking to people and learning from them – about their experiences, their perspectives, their expertise. Confident - I am comfortable taking smart risks. Life has taught me that I am capable of being resilient if things don’t work out as planned. What you are known for saying / a quote from you. What does this quote mean to you, (or if it’s from someone else, why does it inspire you)? Greatest strengths, greatest weaknesses. Our strengths are those things that we are naturally good at; they are our “brilliance”, or our “superpower”. Strengths can be things like being analytical, persuasive, or empathetic. But if we rely too much on our strengths, they can be our downfall. For example, if you are analytical, but don’t question the correctness of your analysis, you aren’t as effective as you might be. Which other Ladybadasses inspire you and why? I’ve never been one to have heroes (or heroines). People are too complex to be admired in their totality. I admire the particular traits of other women – being creative, inspiring, or smart, or their actions – bravery, commitment, kindness - but I don’t have one specific Ladybadass I admire. When did you first realize that you had some Ladybadassery in you? I had an idea for a business that had never been done before (creating group business development training and coaching for women partners in law firms). People I consulted with told me it wouldn’t work – because competitors would not share their business development challenges with each other. But I had a gut instinct they were wrong. Maybe male competitors wouldn’t, but I was pretty sure women would be more collaborative. I was right, and the business was a big success. What keeps you motivated on days when you aren't quite feeling like a Ladybadass? Taking a nap. What is your advice to other women who are trying to tap into their Ladybadassery? Discover your personal strengths (what you do better than most people – all of us have these things) and spend as much as your day doing those things as possible. (I know that seems contradictory with what I said was my most famous saying. Oh well. Few things are black and white). 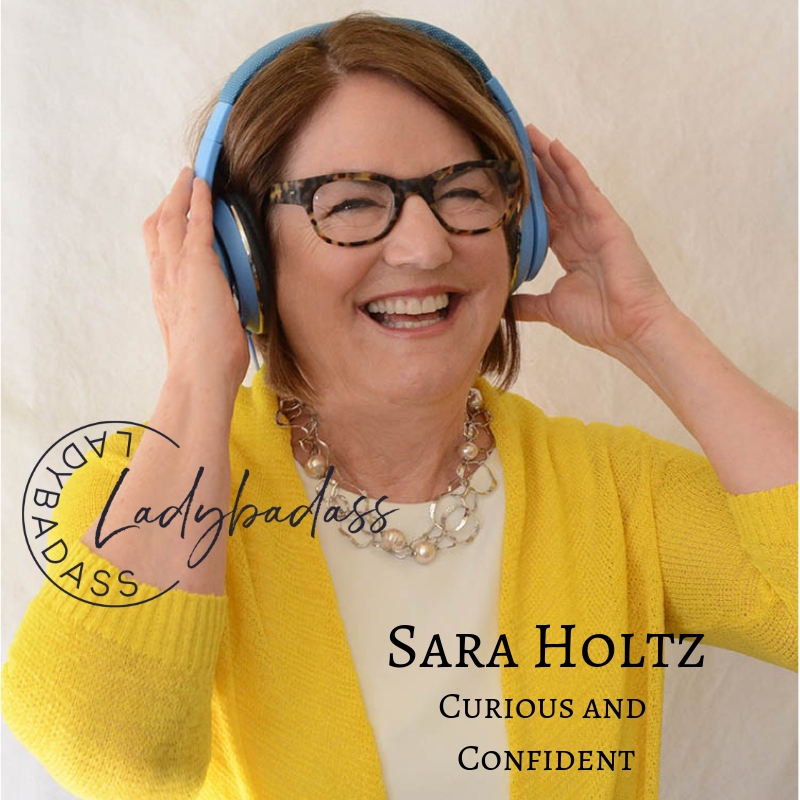 Sara is the founder of ClientFocus, which helps successful women lawyers become “rainmakers.” She also hosts the podcast Advice to My Younger Me where she provides practical advice to help women navigate a sometimes confusing workplace.